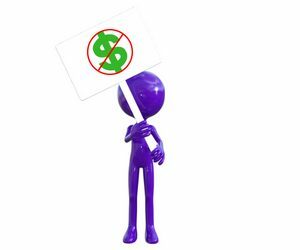 An issue most network marketers face, and all are familiar with. That of course is, how do you build a network marketing team with little to no budget for advertising? In today's press release, I will share with you how I personally was able to accomplish this, and give you a model of how you too can do the same. If you want to get all the details on how to build a network marketing team with a small budget, you can do so by visiting my official blog. My latest post titled "How To Build A Network Marketing Team When You Have Little To No Budget" will explain in more detail and depth how to pull off this unavoidable task. Be sure to visit it now, and remember for IBOTOolbox members, receive 500 IBO CREDITS FREE for leaving a comment on it. If you think it's not possible to build a network marketing team on a small, or nonexisting budget, think again. Almost every top earner was in that position, and in mnay cases, even worse. So if the top earners can do it, it may be a blessing to be having to start off with desperation versus being comfortable with the task. When you are trying to build a network marketing team yet you have little to no budget, you are not going to be able to do so with avoiding direct prospecting. Direct prospecting is how you build quickly, and yes it can be a challenge. Direct prospecting is best when combined with the use of genealogy leads. I recommend these at the highest recommendation possible, and I show you how to get a lifetime supply of them on my blog. Work the numbers and work them more. 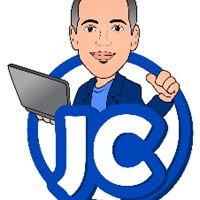 You will not just get better at prospecting, and will build a team with it, but it will also help in the other areas such as creating content that we will look at next. You should always be creating new content in as many forms aspossible if you want to build a network marketing team with no budget. Creating consistent content will lead to prospects coming to you, wanting to join. However, it takes time. So you must only focus on this task when it is too late or too early to dial prospects directly. Consistency will help build your following, and even help get you recommended by search engines. Add content to your list of strategies, as it will not use money but time. So you should be able to visualize how to build a team in network marketing when you have little to no budget. Direct prospecting is the key to getting it all moving, and even getting your first signups. Content creation on a steady basis is what will help bring in extra results, and much easier to work with prospects. 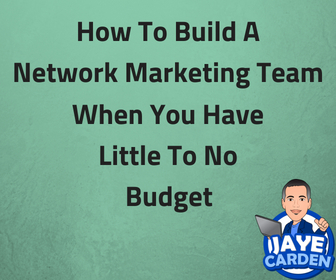 Remember, you can get more details and a full length blog post on this topic by visiting my official blog and latest post titled "How To Build A Network Marketing Team When You Have Little To No Budget"
Be sure to leave a comment below, and share this on your favorite social media platform! P.S Visit my latest post "How To Build A Network Marketing Team When You Have Little To No Budget" and leave a comment on it! IBO Members get 500 IBO Credits for a comment on my official blog post!